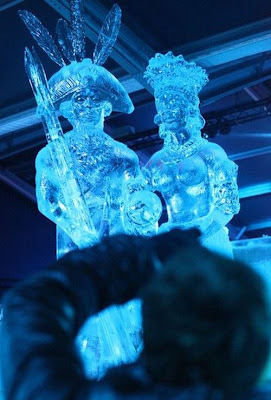 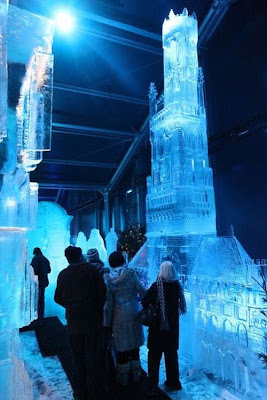 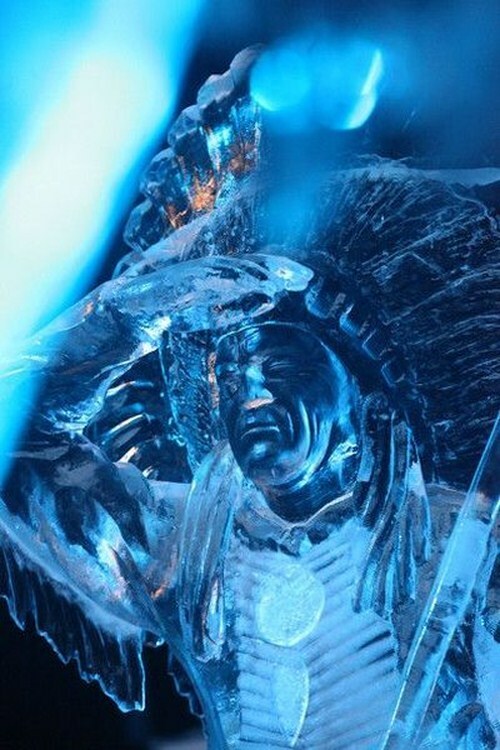 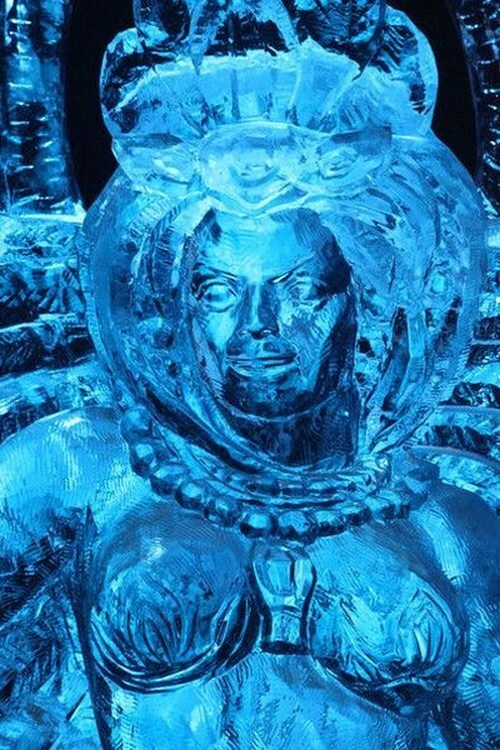 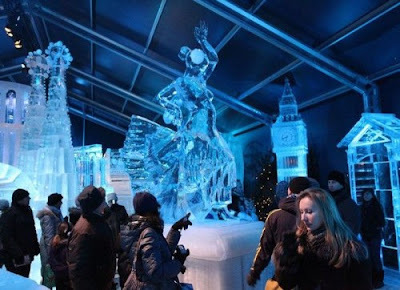 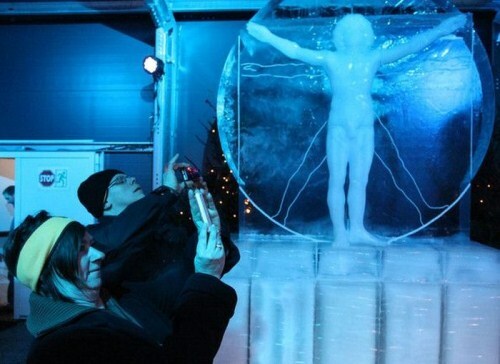 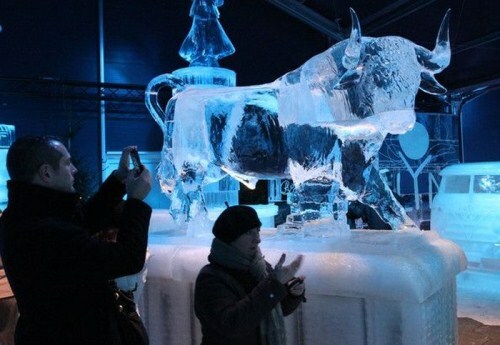 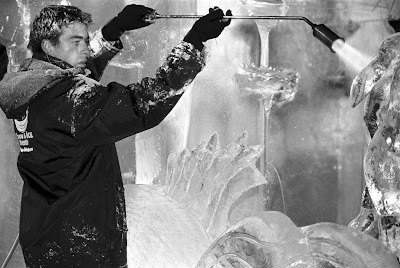 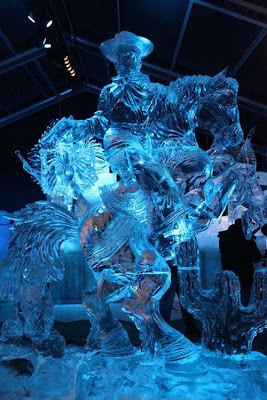 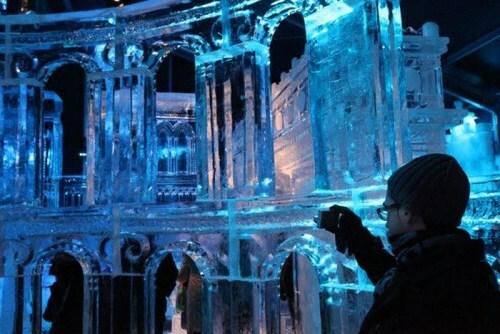 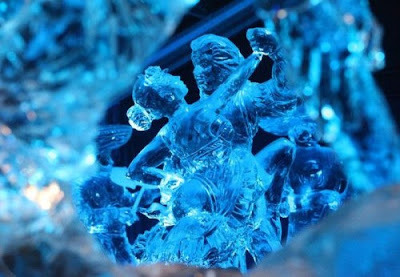 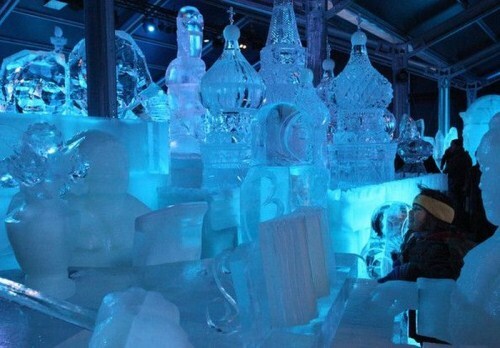 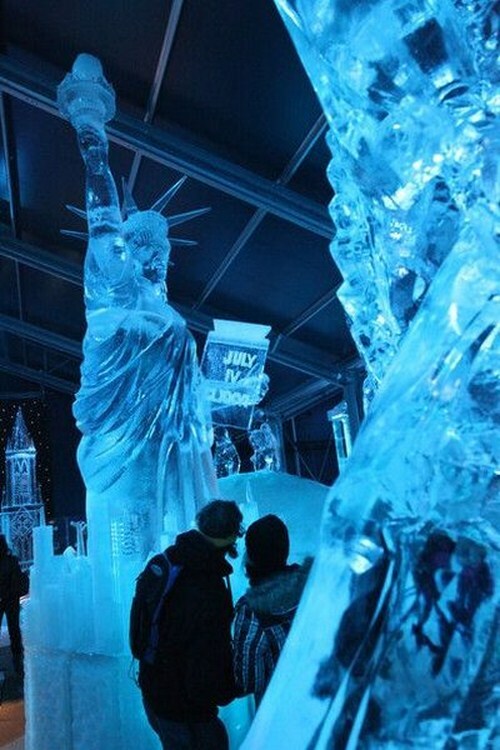 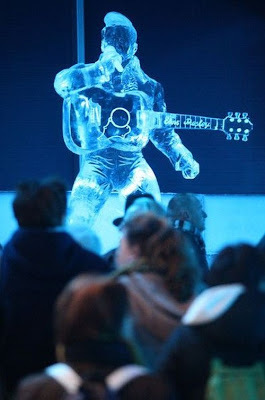 In the Belgian city of Bruges, a festival of ice sculpture named "Ice Age" is traditionally held each year and is sculpted from no less than 300,000 kilograms of crystal-clear ice and 400 tons of pure snow. 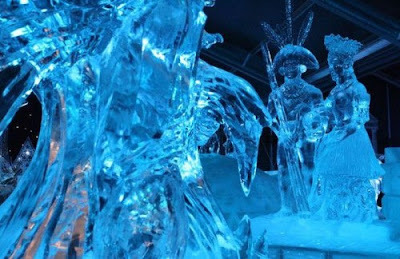 This treasure-trove of icy masterpieces is preserved in a special 1,200 m² thermal tent, where the temperature is kept at a constant -5° C. The first refrigerated lorries will arrive at the beginning of November, to deposit their 2 ton ice blocks on the Station-square. 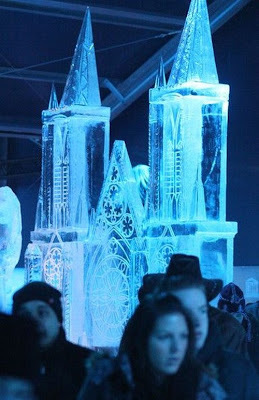 A fleet of bulldozers and cranes will move these blocks into the cold hall, where they will be stacked in preparation for the sculpting of the metres-high snow & ice decors.